The Hindu reported on December 22, 2014 that an agreement on the Northrop Grumman MQ-4C Triton Broad Area Maritime Surveillance (BAMS) UAS deal is likely during U.S. President Barack Obama's visit to India as the chief guest for Republic Day 2015. In October 2010, India floated a Request for Information for a high-altitude, long-endurance UAS for use by the Indian Navy. 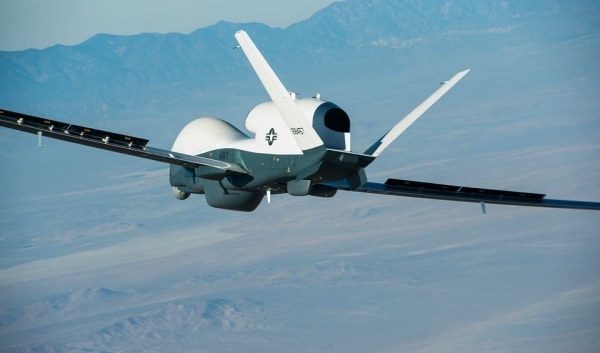 Northrop Grumman responded to the RFI pitching its MQ-4C Broad Area Maritime Surveillance (BAMS) unmanned aircraft system. During DefExpo 2012 (March 29 to April 1), a Northrop Grumman official told Flightglobal that India would need six to eight BAMS to ensure continuous coverage of its coastline. This number would allow India to keep a BAMS airborne all day, every day for 365 days a year. The official pointed out that BAMS can network with Boeing P-8I Neptune LRMR aircraft acquired by the Indian Navy. A potential stumbling block in the deal has been the international Missile Technology Control Regime, although India is not a signatory. IDP Sentinel members can read more about the project at the link below.